Thank you to Perfect Peace Christian Lifestyle Store in Wichita, Kansas, for hosting my book signing last Saturday! A special thanks to sweet friends who came to encourage me and brighten the day even more. 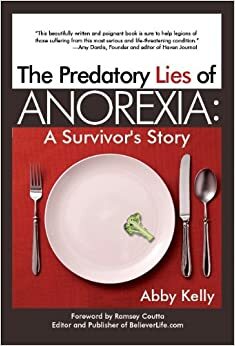 If you missed the event, and you live in the Wichita area, my book, The Predatory Lies of Anorexia: A Survivor’s Story is now on the shelves at Perfect Peace, so you can pick up your own copy. Today, in lieu of a video, I’m sharing a brief slideshow from the event. I hope you enjoy it, and I covet your prayers as we go forward that this book would be life-giving to the hurting and bring glory to God!